OK, summer was a washout. But the good news is that October is a brilliant time to take a cycling holiday – temperatures drop off considerably from the hot summer months to more manageable temperatures typically around mid-twenties - perfect for cycling! Sign up now for any of our cycling holidays in October from only €450pps! OK, summer was a washout. 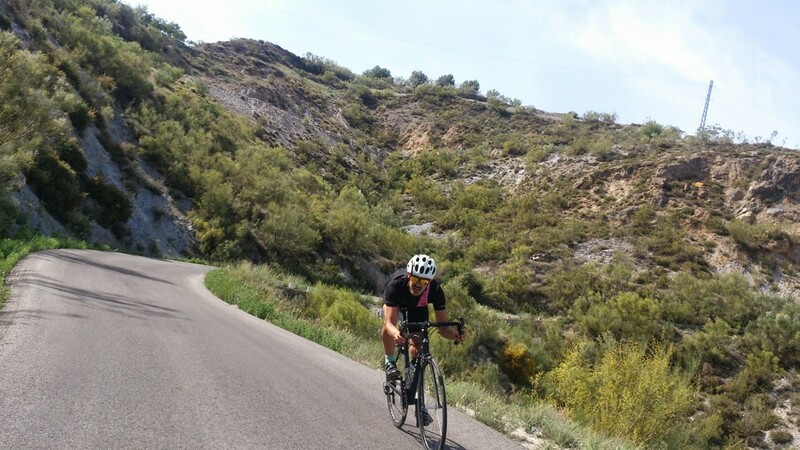 But the good news is that October is a brilliant time to take a cycling holiday in Andalucia, southern Spain – temperatures drop off considerably from the hot summer months to more manageable temperatures typically around mid-twenties - perfect for cycling! Sign up now for any of our dates in October 2017 from only €450pps! 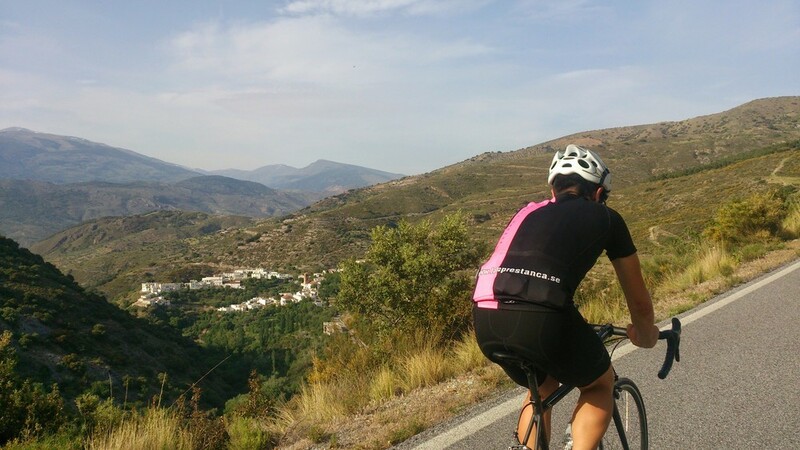 October is almost certain to be cold, wet, grey and miserable in much of northern Europe but for those wanting to get away from it all and go somewhere hot to enjoy a fantastic cycling holiday we’ve got the perfect destination in Andalucia, southern Spain for an autumn cycling break. Please note if the dates above are not suitable for you we will be happy to try to accommodate you on those dates that suit you best. We´re based in the typical Andalusian village of Velez de Benaudalla, which is situated between the mountains of the Sierra Nevada and the Costa Tropical. The area is blessed with almost perfect weather for the vast majority of the year. October is perhaps the perfect time to travel to this part of the world, with temperatures of around 25 degrees Celsius in the day dropping to a very pleasant 12 degrees at night. There is no issue with humidity at this time of the year, you can expect eight hours of sunshine and on a week´s cycling break you’ve got a pretty good chance of not seeing any rain at all. The beautiful city of Granada is only a short journey north of our village. Where you can visit the many historical sites, including the Alhambra Palace, explore the city on a walking tour, or take it easy and relax at man y of the outdoor cafes. Autumn is an ideal time to visit, with bright, cooler sunny days and the crowds of tourists from the summer have largely dissipated. For cycling, the area boasts lots of traffic free, quiet, country roads, making it a perfect destination for your cycling holiday or training camp. It´s an area used in the by the likes of Dan Martin and Michal Kwiatkowski for their early season spring training camps. Saturday: Arrival, build bikes, short spin to test the bikes, dinner and then relax after a long day of traveling . Sunday: Introduction to Spain! Light spin for 2 to 3 hours and an optional longer route of 3.5 to 4 hours. Monday: Medium spin, 3 to 4 hours or an optional longer route of 4.5 hours. Afternoon and evening free to explore the village and relax. Tuesday: Long day in the saddle, 5 to 6 hours, with a possible trip to Spain's highest village, Trevelez. Wednesday: Rest day with optional light coffee spin to the beach. Possible evening trip to the historical city of Granada or alternatively a day on the beach. 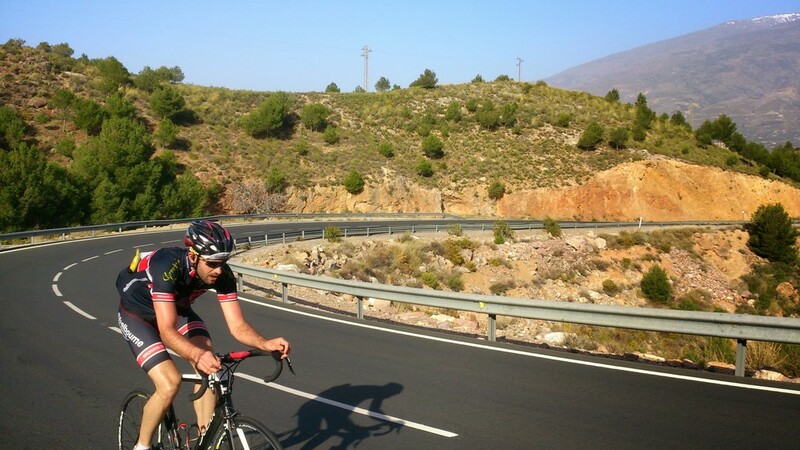 Thursday: Medium day of 3 to 4 hours cycling in some spectacular scenery. Friday: Will be another long day in the saddle to test those legs over some grueling climbs, 4 to 5 hours, aim to be back by 4pm and stretch straight off the bike. Pack the bikes. Prearranged meal in local restaurant. Saturday: Breakfast, goodbyes, transfers to airport. Please note, the area where we are based is quite mountainous and you will be expected to tackle long and arduous climbs each day. 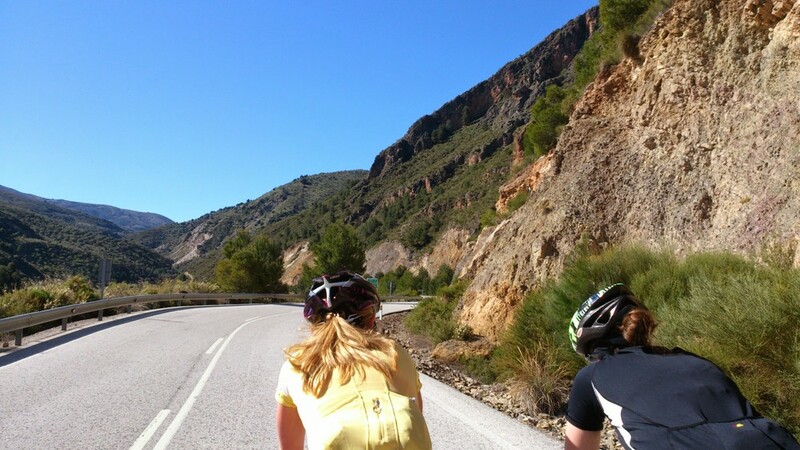 Please refer to the FAQ section or contact us if you´re concerned about whether you are suitable to participate in one of our cycling holidays. 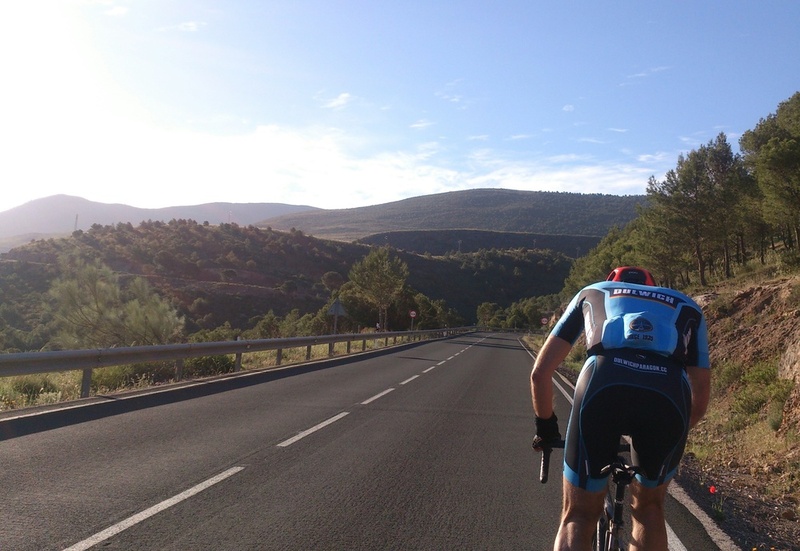 Please click here for further information regarding our cycling training camps. Your Health and safety are paramount to us, however, please note TRAVEL INSURANCE IS MANDATORY. Please ensure you are covered for cycling, accidental damage to bike and personal medical . Check out sportcoverdirect.com for your insurance cover.